Ensuring the safety of employees can sometimes be time-consuming and costly. But the alternative to a safe worksite can be devastating to your employees as well as your company. With our training and experience, Tactical Safety Solutions is uniquely qualified to ensure the safety of your employees. Established in 2015, our team has had a firm belief that safety is the cornerstone of any great project. When our founders noticed a need for rescue teams that would always be on site and provide the ultimate level of protection, they knew they could make a difference. Tactical Safety Solutions opened its doors in January of 2015 and since then has worked with dozens of companies to ensure superior standards and absolute protection for their team. Eric’s favorite moment at Tactical is the healthy competition of the bi-annual fitness challenge at our new training facility. Although disappointed he placed third, in Spring of 2018 he is shooting for first! 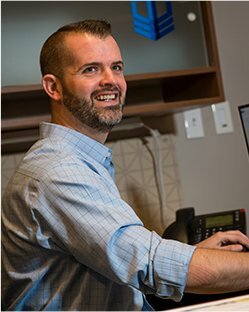 Before starting Tactical Safety Solutions and over the last nine years, Eric has led the Field Operations, HR, Staffing, Safety, and Training Departments at UCI, where he still acts as the VP of Field Operations. His hope is that Tactical Safety Solutions can establish a culture and history of excellence equal to that of UCI. Cody’s favorite moment with Tactical was being part of the team that rescued a contractor who was caught in a window during an ammonia release. 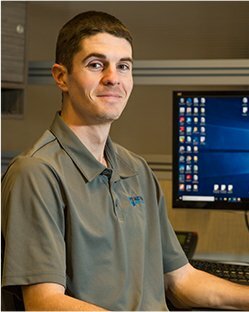 Before joining the Tactical team, Cody was a Safety Associate for four years at UCI where he designed a Site Risk Assessment program to help evaluate the safety of each job site. While at UCI, he helped create a culture of safety that helped lead UCI to two straight years with no recordable injuries. 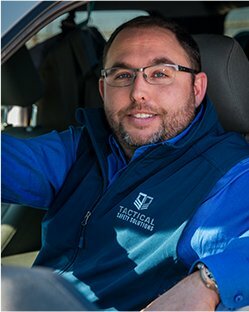 Michael’s favorite memory was the grand opening of Tactical Safety Solutions’ Training Facility in Wichita, Kansas, where he was able to showcase new training techniques to the rest of the Tactical team. Before working at Tactical, Michael spent over 20 years as an emergency responder, providing police, fire and rescue services to the community. Rachel’s favorite project at Tactical was the building of our training facility, where she was able to see design, creation, implementation and rescue training first hand. 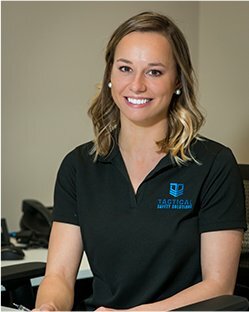 Before working for Tactical, while finishing graduate school, Rachel was the Account Supervisor for The Agency, a for-profit advertising agency led by students and faculty. 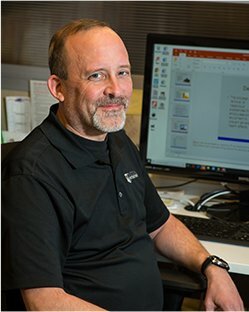 Kevin’s favorite memory was the grand opening of the Tactical Safety Solutions Training Facility in Wichita, Kansas, where he was able to meet the entire team for the first time. 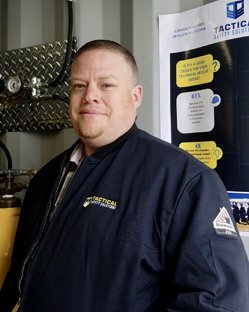 Before working at Tactical, Kevin was the District Manager for Airgas On-Site Safety Services. Lou previously worked as a Safety Manager for Brahma Industrial Services and proudly served with the Department of Defense. His favorite memory of Tactical Safety Solutions was being reunited his mentor, and our Rescue Manager, Michael Stueven. Contact us to see how we can help your company.